In many pneumatic control systems, performance is not the only key factor—size is often important, as well. For industries and applications where smaller is better, Pneumadyne manufactures miniature pneumatic components that deliver outstanding performance in small packages. 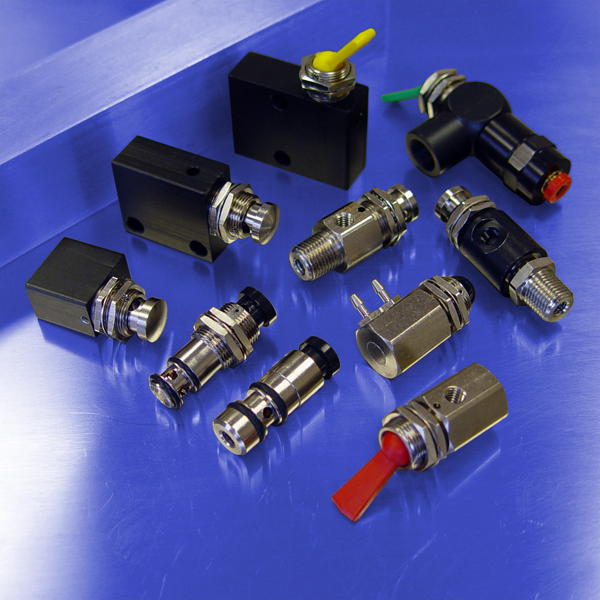 Our miniature pneumatic valves, fittings, solenoids, and manifolds are designed for light- to medium-duty applications, from medical and dental equipment to laboratory instrumentation to process control and more. Pneumadyne’s miniature pneumatics are small, lightweight, and manufactured to the same high standards of quality as all our pneumatic components. If space is limited, if you need pneumatics with reduced power consumption or actuation noise, or if you need pneumatic systems for portable devices, turn to Pneumadyne. We have all the components required to build a complete, miniature pneumatic system for your unique application. Pneumadyne has been providing system solutions for fluid control for over 35 years. Request a quote for the miniature pneumatic components you need, or contact us for more information.